English painter. 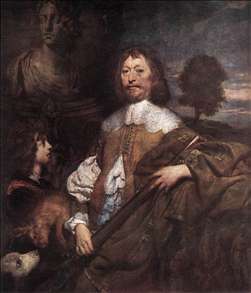 He was described by his contemporary Aubrey as the most excellent painter England hath yet bred , and as such he succeeded van Dyck as Court Painter in 1642 and to some of the position of van Dyck, whose assistant he may have been. 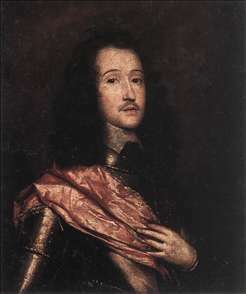 It is, however, not certain that he was van Dyck s pupil (an early Self-Portrait is markedly Rembrandtesque), or even that he was appointed Serjeant Painter. His impasted and robust style is more Italianate than van Dyck s, and may have been formed on a study of the superb Titians and other Venetian pictures in Charles I s collection. He first appeared in 1642, in Oxford, where the Civil War had driven Charles and his court; between then and his early death he painted many of the Royalists, as well as the king and the royal children. He seems to have been imprisoned for debt in 1646, and his loose and irregular habits may have contributed to his premature death. There are works in the Royal Collection and in Birmingham, Dunedin NZ, Edinburgh, Hull, Liverpool, London (Tate Gallery, National Portrait Gallery and Courtauld Institute), Yale and elsewhere. 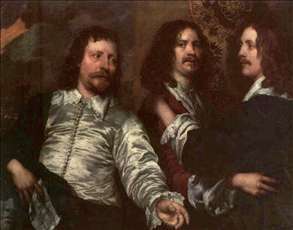 See more details about "The Painter with Sir Charles Cottrell and Sir Balthasar Gerbier"
See more details about "Richard Lovelace"
See more details about "Endymion Porter"